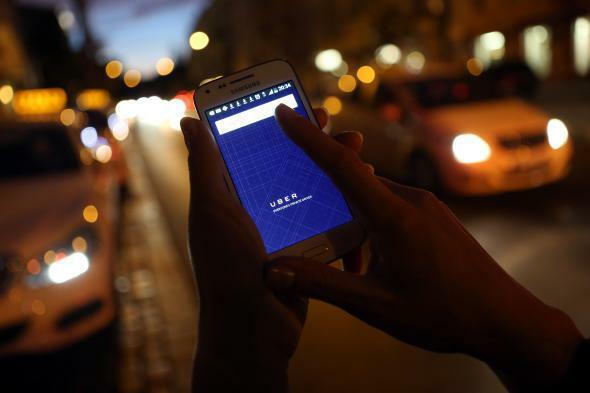 Saudi Arabia makes record $3.5 billion investment in Uber. In this photo illustration, a woman uses the Uber app on an Samsung smartphone on Sept. 2, 2014 in Berlin, Germany. Saudi Arabia gave a hint Wednesday of what its post-oil economic plan might look like when it announced the country’s sovereign wealth fund was plowing a whopping $3.5 billion investment into Uber. The Saudi investment is the largest “single investment ever made in a private company,” according to the Financial Times, and caps the company’s most recent financing round, putting its value at $62.5 billion. To put Uber’s fundraising in perspective, Google raised $2bn during its IPO in 2004, after raising just $25m from investors while it was a private company. The deal marks the closing of Uber’s Series G investment round, which began last year and has raised more than $5bn from investors including Russia’s LetterOne and China’s Baidu, at a valuation of $62.5bn … The news comes just two weeks after Uber’s Chinese rival Didi Chuxing announced a $1bn investment from Apple, raising the stakes in the expensive taxi-booking wars in China. Uber has been pouring money into subsidies in China and India in an attempt to gain market share from local rivals. The announcement comes as Uber is facing increasingly stiff competition from rivals in markets outside of the U.S. The company already had a small presence in Saudi Arabia, but the kingdom announced a radical overhaul of its economic and social policies in April aimed at making the country independent of oil. Interestingly, Uber appears to fit both economic and social goals set by the new Vision 2030 Plan, which also aims to involve women more actively in the economy, doubling its current workforce participation to 30 percent over the next decade-and-a-half. In a country where women are not permitted to drive by law, Uber has already found a niche, as roughly 80 percent of riders in the country are women.